315 Barrington Court has been added to your favorites! 315 Barrington Court has been removed from your favorites! 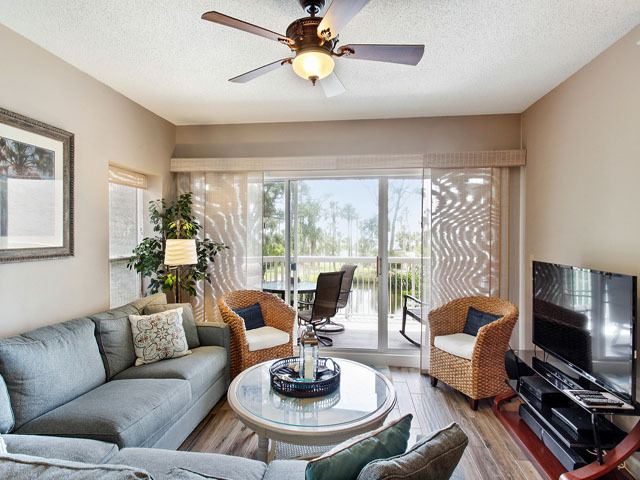 Barrington Court and Barrington Park, is close to the bike path that will take you quickly to all the other amenities in Palmetto Dunes. Great golf also awaits you. This is a newly updated two bedroom, two bathroom villa. 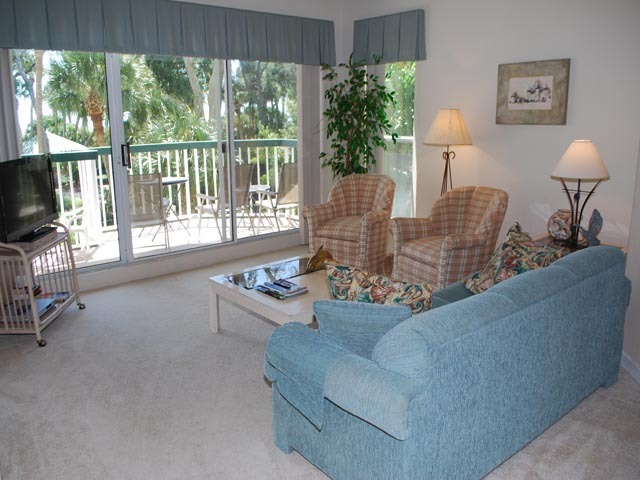 It provides a great ocean view and is a great choice for a family or couples! A breakfast bar with 3 bar stools separate the kitchen from the dining room. The dining room has seating for four with a bench that can be added for additional seating. The living room provides a queen sleeper sofa, loveseat, chair, and wall-mounted flat screen TV with DVD player and stereo. Retreat to the balcony with a panoramic view of the ocean and beach! The master bedroom contains a king bed and wall-mounted flat screen TV. A sliding glass door from this room leads to the living room balcony. A private bathroom with a dressing area and jetted tub/shower combination adds to your comfort. The guest suite has 2 full beds, TV a great ocean view, and a private bath with a jetted tub/ shower combination. 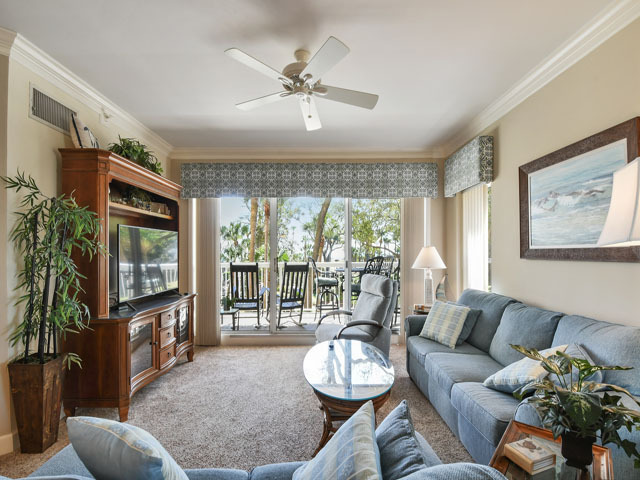 This great Hilton Head villa is fitting for your next getaway island-style! "Arrived: 10/13/2018 Departing: 10/20/2018 Title: October 2018 Stay Value: 4 Experience: 5 Property: 4 Overall: 4.50 My husband and came down with friends and our dog, for the first time. The weather was beautiful. Warm ocean and gentle breezes provided us with some great time. The pool was also warm and clean. Our location made it convenient to enjoy both. We played golf a couple of times and enjoyed many good meals. Looking forward to returning in the spring for 2 weeks. Island Getaway's Hospitality app is GREAT! It makes the rental. experience a smooth one."